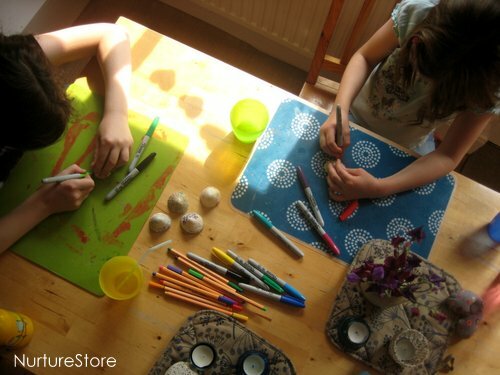 We’re still enjoying making and playing with our stash of seashells from our week at the beach. Today we turned a few of them into little seaside cottages, so our fairies could go on holiday. They’re super easy to make, and are doubly good because they make great little play scenes once you’ve finished crafting. We love making things that then turn into even more opportunities to play! 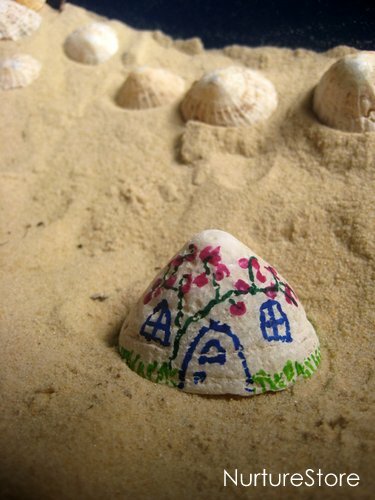 To make the fairy houses we picked a few shells out from our collection and decorated them with permanent markers – as easy as that! The houses can be as simple or intricate as your children like. Sometimes we want to spend a long time drawing and designing, and sometimes we just want to make something quickly, so we can then use it to play. This craft works either way. 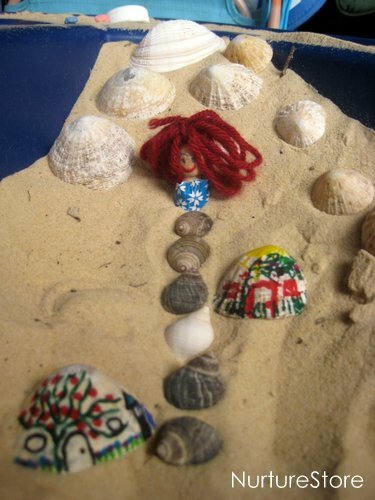 They’re great for playing with in the sandpit, where you can make a beach for the fairies’ holiday. 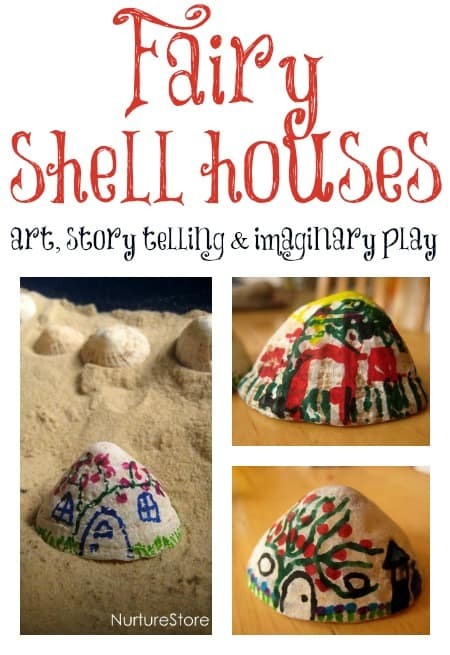 Add in some more shells and some homemade fairy dolls, and you can imagine and tell stories as you play. I’m so in love with these! 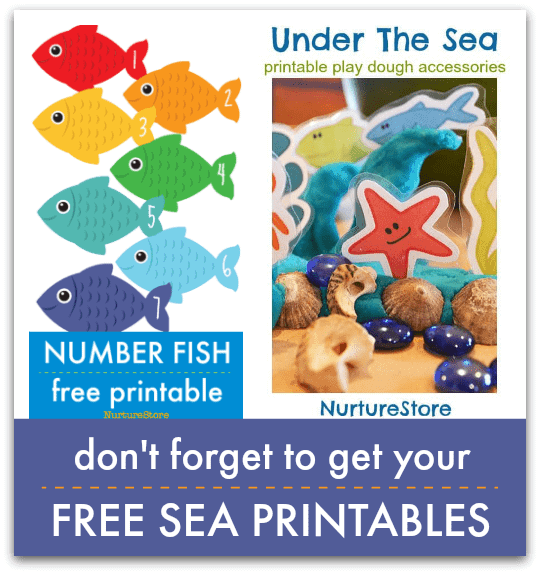 We are going to the beach next weekend…perfect timing!